The Crystal Coast shoreline has no shortage of notable attractions. From famed wildlife reserves to top-rated museums, the centuries of history and maritime culture truly come to life in this incredible waterfront destination. Visitors who want to make the most out of their vacation, and ensure that they see all the top sites that the Crystal Coast has to offer, will want to start their upcoming adventure by making sure these acclaimed destinations and attractions are at the top of their vacation bucket list. The best news out of incorporating these sites into your trip? 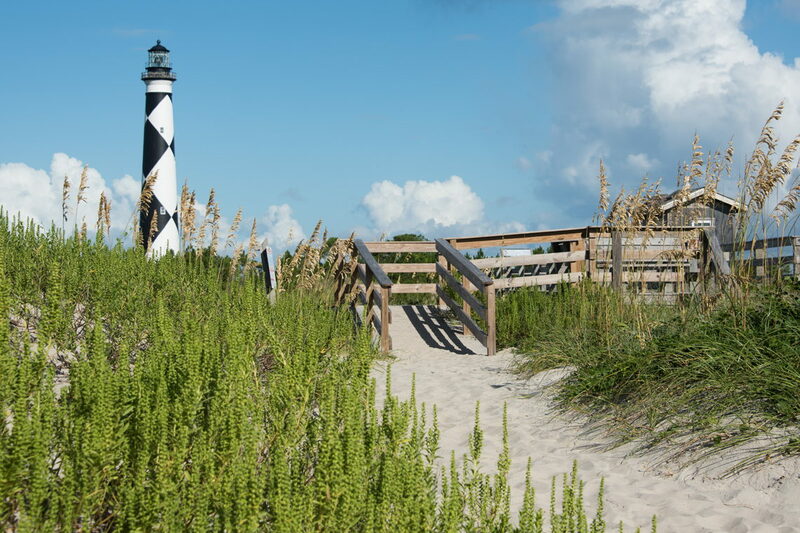 If you don’t get to see all the top attractions in between beach trips, evenings out, and other coastal activities, you can always plan another trip to make sure you see everything the Crystal Coast has to offer. The Cape Lookout Lighthouse may be one of the most difficult lighthouses to reach along the Outer Banks, but it’s also one of the most stunning, and the most recognizable, thanks to its distinctive black and white diamond pattern. 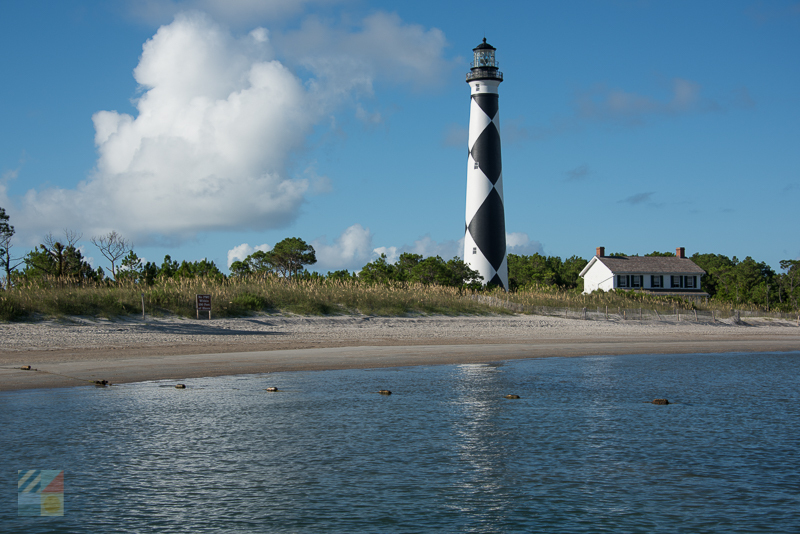 Located on the Cape Lookout National Seashore, visitors who hop aboard a ferry to access the site can climb the 207 steps to the very top of the lighthouse to enjoy panoramic views that extend from the Atlantic Ocean to the Core Sound. The lighthouse is seasonally open for climbers, and a small visitors center is also located on-site which explains the history behind this iconic structure that was originally built in 1860, and which still serves as a guiding beacon for mariners and visitors alike. Fort Macon State Park is an attraction that’s famed for a number of reasons. It was the first established state park in North Carolina, (officially opening in 1936), it’s the second most visited park in the state, and it’s the home of one of the most remarkable intact Civil War era forts still in existence along the coastline. Combined with beaches that border the Beaufort Inlet, and which therefore are prime destinations for exceptional fishing, shelling and exploring, this site deserves its reputation as one of the coolest attractions along the Atlantic Beach shoreline. 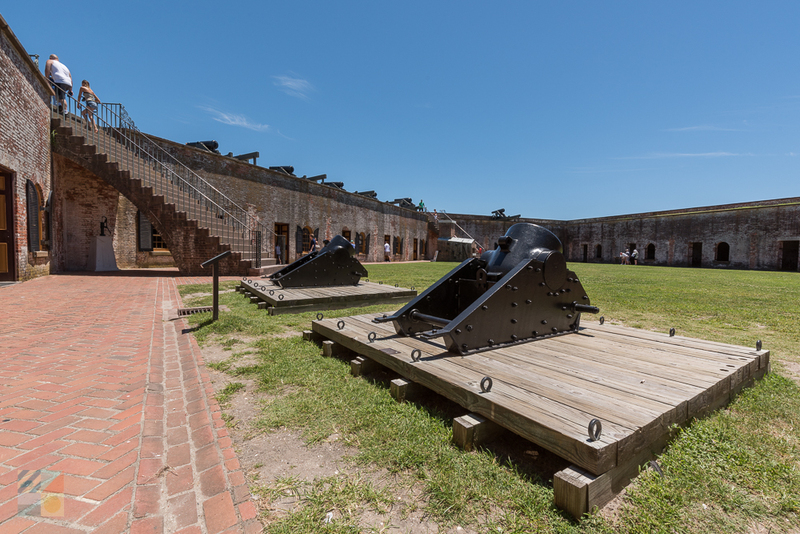 Visitors can take tours of the fascinating fort, which was built in the 1820s and which still has eerie passageways and stone walls surrounding the site, coincide a visit with one of the seasonal Civil War cannon firings, or just spend a day soaking up the incredible beach scene. History buffs and everyday vacationers alike will adore this attraction, which combines local culture, education, and miles of brilliant beaches. The most famous residents on the Crystal Coast aren’t of the human variety – they’re feral horses that freely roam the isolated and undeveloped barrier islands that are found just off the mainland. 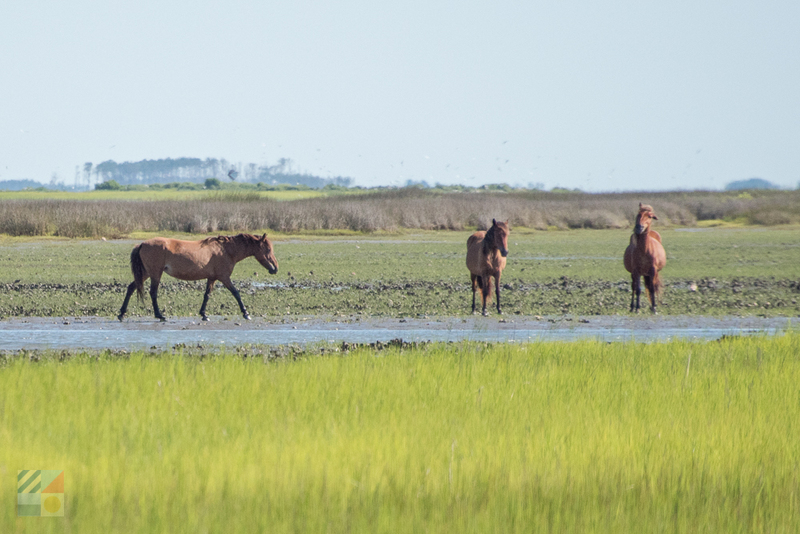 Located within the Rachel Carson Coastal Estuarine Reserve, the South Core Banks, and most famously, the Shackleford Banks, these wild horses can be viewed and enjoyed a number of ways. 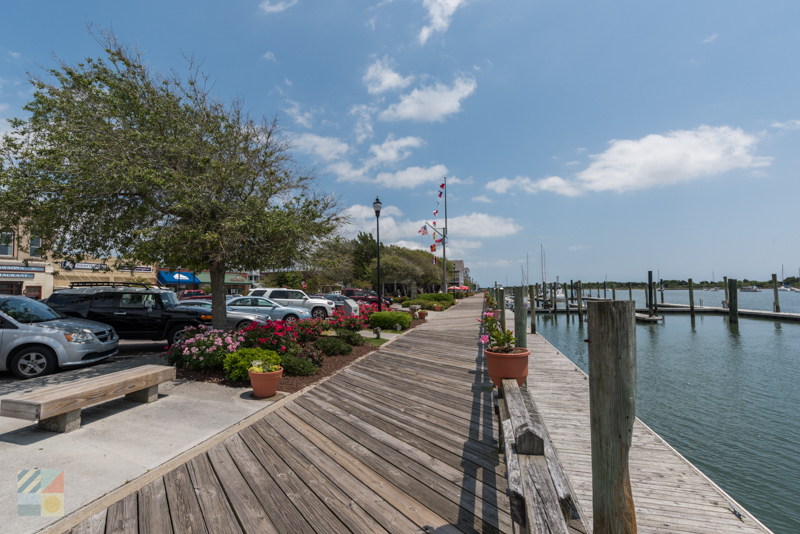 Visitors to Downtown Beaufort can often catch glimpses of them by simply gazing across Front Street to the outlying Rachel Carson Reserve, while visitors who want a closer view can book a water taxi or even a wild horse cruise to enjoy some incredible vantage points (and equally incredible photos.) No matter how a visitor spies these centuries-old locals, a look at the feral horses is a must for any visitor with an inherent wild side. 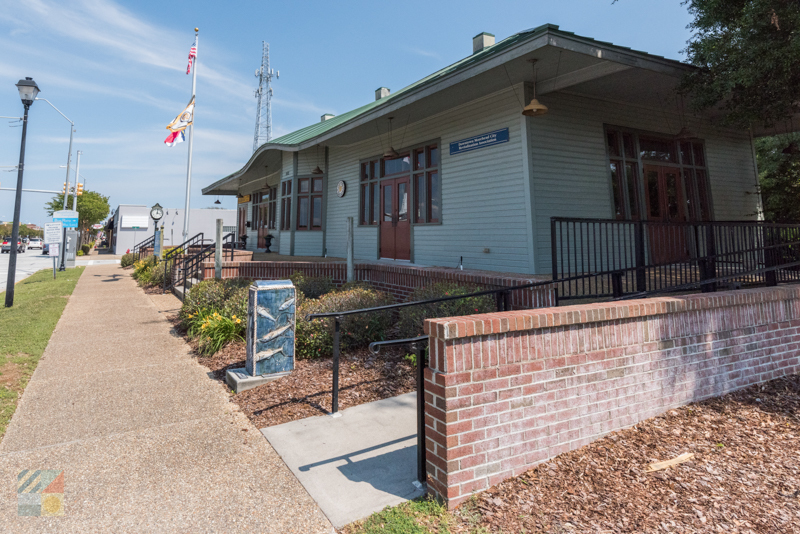 The NC Maritime Museum, which is located in the heart of Downtown Beaufort, is home to a treasure trove of artifacts, displays, and interactive exhibits that brings the story of this centuries-old community to vivid life. Famed for its pirate exhibits, (which includes relics from Blackbeard’s favorite ship the Queen Anne’s Revenge), its extensive global shell collection, its Civil War exhibit, and its boat building display, no stone – or shell – has been left uncovered when explaining the region’s rich history. 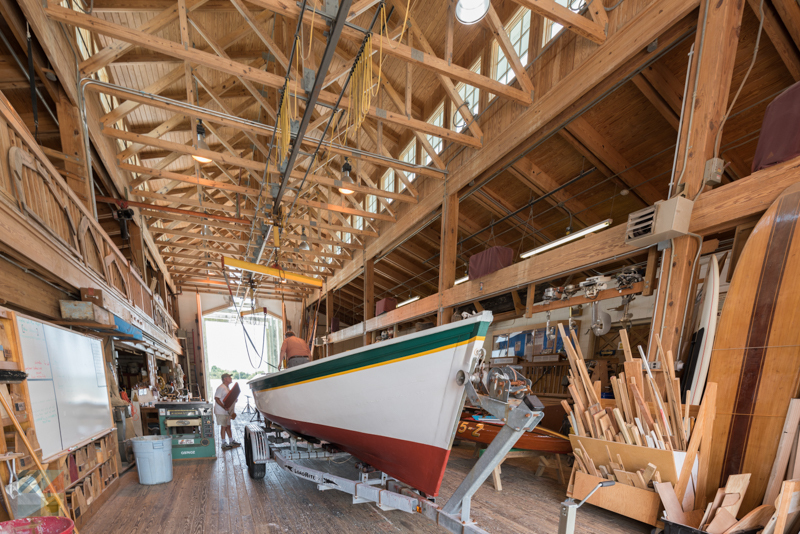 Any visit will prove fascinating, and visitors with a love of the maritime lifestyle may also want to sign up for one of the museum’s regular educational programs or talks, or its acclaimed “Build a Boat in a Day” workshop. Beaufort has been ranked on a number of national lists as one of the Best Small Towns in the Country, and for good reason. The cool waterfront downtown area is steeped in more than three centuries of history, and as a result, visitors can peruse historic structures and general stores, stunning waterfront docks where vessels of all sizes congregate, and a fun atmosphere where finding exceptional dining, shopping and nightlife options is a breeze. Pay a visit to The Beaufort Historic Site to learn more about the unique historical treasures that are found in the region, (including an ancient jail, a former county courthouse, and an original cometary), or take a tour via a guided walk, or via a trip onboard the unique and London-inspired double decker bus. No matter how you choose to explore, a simple stroll through Beaufort will unlock a world of history, local culture, and miles of fun. Visitors who want to experience the Crystal Coast “the way it used to be” need look no further than scenic Harkers Island. Serving as one of the southernmost parts of the Outer Banks Scenic Byway, this small coastal island is flooded with charm, and comprises of primarily year-round homes and cottages, unique local businesses and a couple of restaurants, and refreshingly, not much else. Visitors can take an easy drive along Harkers Island Road to soak up the local flavor, or can stop by the fascinating Core Sound Waterfowl Museum where the history of the area, including and especially its fame as a decoy carving Mecca, is explained in detail. 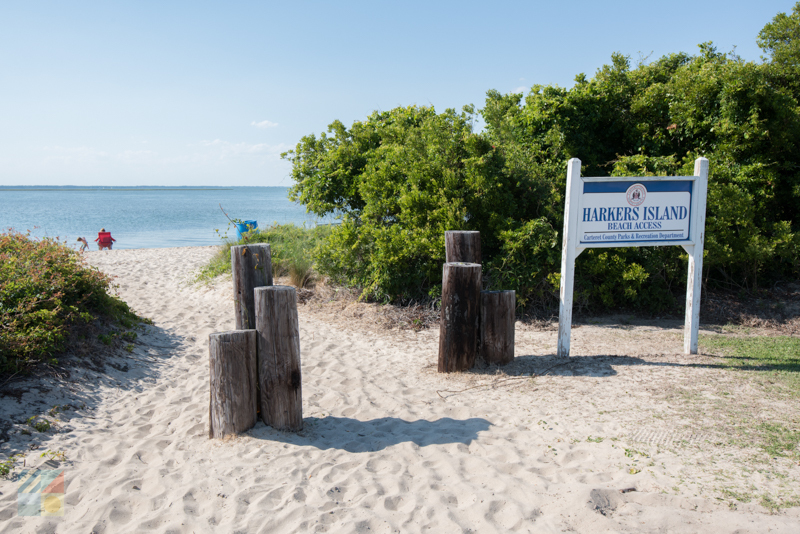 In addition, Harkers Island is also home to the ferry docks for the Cape Lookout National Seashore, which means that visitors who want to extend a trip by exploring miles of barrier island shoreline can be on the beach within mere minutes. 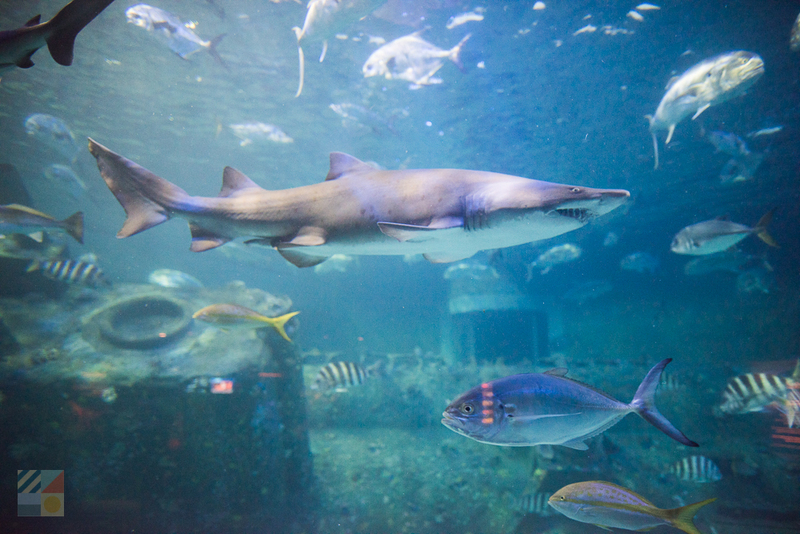 The North Carolina Aquarium at Pine Knoll Shores is one of the coolest and the largest of the three aquariums that make up the NC Aquarium system, and is a popular attractions that attracts curious explorers of all ages and interests. The aquarium is home to more than 50 exhibits and more than 4,000 different animals which range from playful river otters to giant sharks that glide through one of the biggest saltwater tanks in the state. With interactive exhibits that are designed for kids – like a touch tank where visitors can literally “pet” a sting ray – and a number of special programs and outings for visitors of all ages, there’s no shortage of ways to have fun at the North Carolina Aquarium at Pine Knoll Shores. For the best trip possible, save an hour or so to explore the nearby nature trails of the Theodore Roosevelt State Natural Area, and discover the local ecosystems, inside and out. 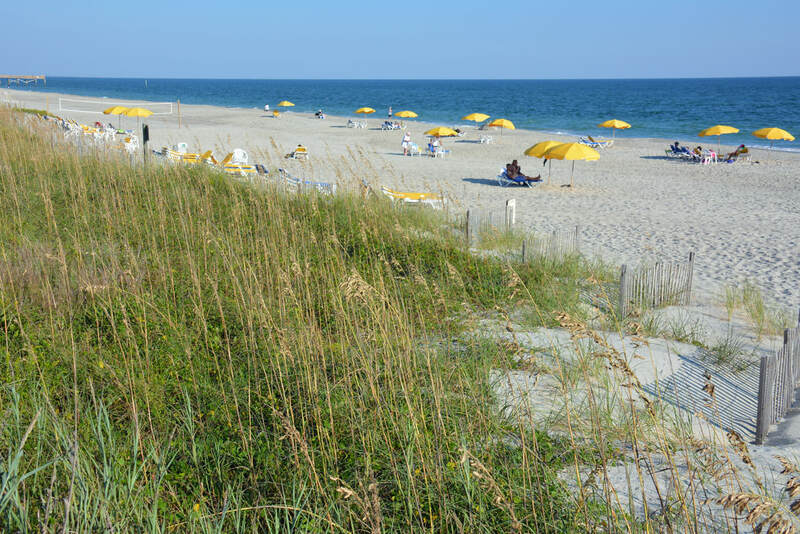 Arguably one of the most popular beaches along the Crystal Coast, “The Circle” is located in the heart of Atlantic Beach, and serves as the perfect venue for in-the-water, on-the-sand, and area-wide fun. The beach features ample parking, a playground, a seasonal lifeguard stand, and close access to the local Oceanic Pier, and the circular stretch of road, (which, naturally, is where the beach gets its name), is lined with local restaurants, beach shops, and popular nightlife venues. As a result, the area is hopping both day and night, and is a fine destination for visitors who want to let their hair down and enjoy plenty of activity, both on and off the sand. 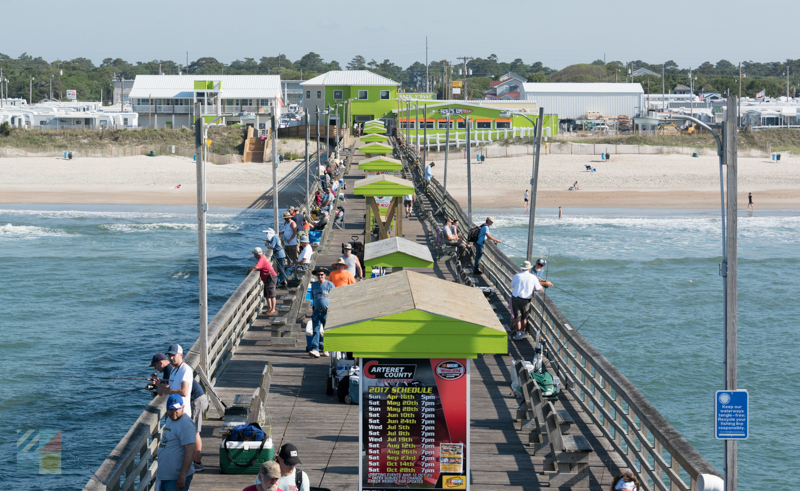 When it comes to great fishing and exceptional views, it’s hard to beat the Bogue Inlet Fishing Pier. Located in the heart of Emerald Isle, this fishing pier extends 1,000’ ft. into the ocean, presenting some of the best fishing conditions along the beach. While anglers will want to spend their days casting for a wide range of seasonal catches, like drum, bluefish, pompano, cobia, Spanish mackerel, and king mackerel, everyday sightseers will want to reserve a morning or evening to explore the pier, and enjoy one of the best Emerald Isle vistas on the island in the process. Just remember that whether you stroll along the pier itself, or spread out a beach towel or two beside it, the pier makes the list of top attractions primarily because it’s adjacent to one of the biggest attractions of them all – the gorgeous Crystal Coast shoreline. No matter where you land along the Crystal Coast, the sheer number of historically rich and fascinating attractions will take any newcomer’s breath away. So reserve plenty of vacation time – or just plan a couple repeat visits – and make sure you enjoy the best of the coast by exploring everything this culturally significant vacation destination has to offer.